This was a proper opera! Powerful and strong. Powerful and strong music, singing, acting and design but even with very fine singing from all the cast the night belonged to Tosca. This is a big sing and Elisabete Matos, considered the greatest and most internationally known Portuguese opera singer consumes it with a passionate relish that is a wonder to observe. She is by no means alone in providing us with high quality theatrical joy, North Walian tenor, first winner of the Webster Booth Award, Geraint Dodd sang the role of Cavaradossi with a musical clarity and acted with a sensitivity not often seen on the opera stage. He and Matos were able to blend both vocally and emotionally giving their performances an exquisite appeal. Tosca’s nemesis, the Baron Scarpia is a role that Robert Hayward responds to with superb command both vocally and with a well observed verisimilitude that transcends the melodrama of the narrative. There is a lasciviousness in his singing that is well underscored by Puccini’s sensuous music. Once again the Welsh National Opera has brought some of the finest international singing to Cardiff. In this production it is coupled with moments of great drama. From the opening scene where we see escaped prisoner Angelotti scramble exhausted to seek solace in the great church until finally Tosca leaps to her death from the battlements of the castle where her lover, Cavaradossi has just been shot dead. High drama there may be but it is all executed with the most subtle artistry. The original director Michael Blakemore brought his skills from the National Theatre to the production letting it tell its own, very passionate story in a clear uncluttered manner, underlining the strong relationships and perfectly capturing the atmosphere of every dramatic moment. Benjamin Davis provides us with a very faithful revival. Although it has all the trappings of Grand Opera of the eighteenth and nineteenth century this opera is a little more than a hundred years old. It is set a hundred years earlier. Angelotti, a republican had been imprisoned by the Queen of Naples. In her chapel in the church of Sant’Andrea his sister the Marchesa Attavanti, has hidden food and clothing to help his escape. To enhance the chapel Cavaradossi is painting a picture of Mary Magdalene using the Marchesa as his model. The Sacristan is assisting the artist, he first discovers Angelotti. The opening duet between Julian Close (a warm deep voiced Angelotti) and Henry Waddington (the Sacristan) illustrates so well the careful vocal blending that is so strong throughout this production. The tyrannical Police Chief Scarpia enters the church in his search for the escaped convict. His overwhelming desire to possess Tosca becomes clear. She is already moved to jealousy by the painting. Scarpia works on her feelings by showing her a fan bearing the crest of the Marchesa. Angelotti has escaped but now in Scarpia’s Palazzo Cavaradossi has been captured for abetting the prisoner. 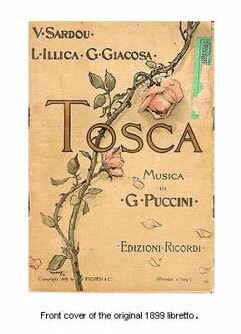 Scarpia has him cruelly tortured offering to release him only if Tosca gives in to his desires. She kills him. It is a real achievement of all the cast that they hold us gripped in this heightened reality so firmly. It is clear how this powerful tale appealed to Puccini and he has produced some of his most rapturous music to bring it to life, and his music is brought wonderfully to life by the company’s Music Director Lothar Koenigs. Once again confirming the WNO as one of the great international opera companies of the world.